We are participating in the main section with Neha Choksi, Raqs Media Collective, Sandeep Mukherjee, Shreyas Karle and Tejal Shah. 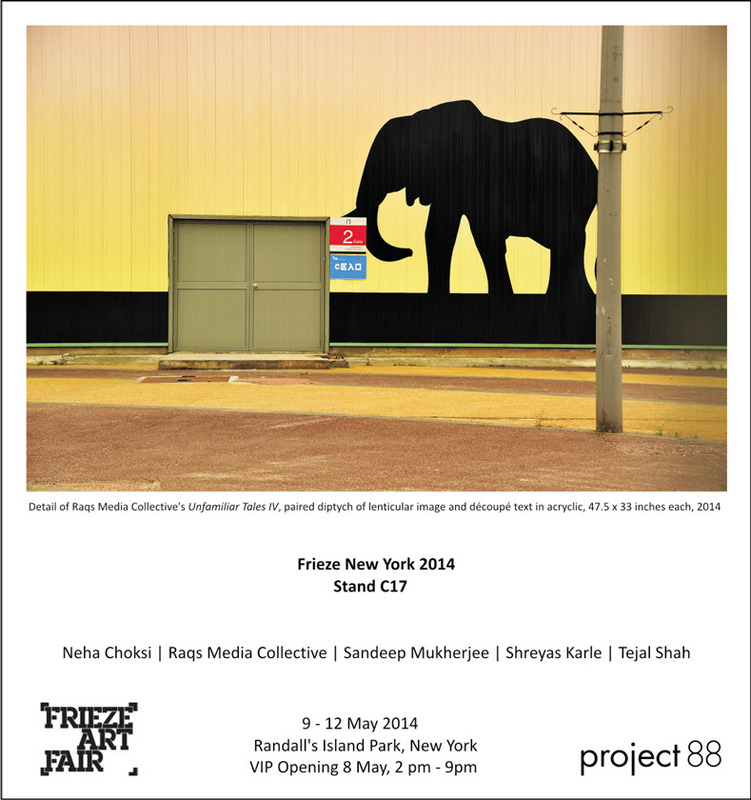 This entry was posted in Neha Choksi, Project 88, Raqs Media Collective, Sandeep Mukherjee, Shreyas Karle, Tejal Shah and tagged Frieze New York, Neha Choksi, Project 88, Randall’s Island, Raqs Media Collective, Sandeep Mukherjee, Shreyas Karle, Tejal Shah. Bookmark the permalink.